Hi there, I’m totally jazzed that we’re getting together soon. I want to remind you that I am only doing virtual readings at this time, and that I’m on Eastern Time, not Pacific Time (for the time being). I record the reading and then email it to you. We can do FaceTime if you have an iPhone, iPad, or a Mac. If not we can use Zoom. I’ll be doing in-person readings when I return to San Francisco in late February for 3 weeks as well as mid-September for 3 weeks. Stay tuned! Need some clarity? At a crossroads? Need to make a major life decision? You’ll be given precise timing of when to take the next steps in order to succeed. 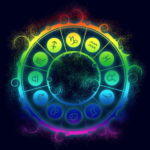 You’ll learn what planets are influencing you and how to interact with them optimally. Whether it’s relationships, career or personal growth, consider this your cosmic weather report for many months to come. Not sure who you really are? Jonesin’ to find out? This reading identifies your values, communication style, relationship style, what your meaningful, passionate “calling” might be-and so much more. Even if you’ve had a birthchart reading done before, this will rock your world in a wonderful way. Maybe you keep picking the same wrong romantic partners. Or finding yourself stuck in a dead-end job? Or perhaps you think you can fix other people. I can help you stop doing this so that you can grow into the happiest and most dynamic you. My scheduling and payment page is being redesigned, so for now, to get information about my pricing, available session times, or any other other questions; or the schedule an appointment, email or call me at (415) 636-6899. Once you have sent me the information, you’ll come right back here where you can book and pay for your appointment. Hour and minute of birth, am or pm, and time zone. Area code required. Please don't text. Thanks!